The APPSC (Andhra Pradesh Public Service Commission) released the tickets for the screening test of the Assistant Executive Engineers in their General Recruitment. The screen test will happen on February 17, 2019. All applicants are suggested to download their hall tickets as early as they can. 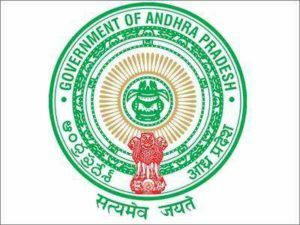 The APPSC (Andhra Pradesh Public Service Commission) said that there are 165 new vacancies and 144 forward vacancies. The Second Step is: Look for the hall ticket download link you can find this on the homepage. The Third Step is: Enter all the required details that are asked. The Fourth Step is: After submitting download the admit card. The APPSC only conducts a screening test if the applicant numbers exceed 25,000. All those applicants who pass the screening test are going to take the main exam, this exam is a computer-based exam. The screening test usually has 2 parts, PART A is a general study and mental ability test that will have the same syllabus for its electrical, mechanical, and Civil engineering branches. The PART A is said to have 50 questions which will be equivalent to 50 marks. The PART B is a subject based test that will have a different syllabus for its Civil, Electrical, and Mechanical Engineering branches. The PART B is said to have 100 questions which will be equivalent to 100 marks.